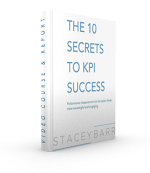 Feature: Inspiring People to Make KPI Progress. Q&A: How do you keep performance management fresh? Quick Tip: A cool way to keep track of your KPI project’s progress.